What can I Expect During an Epstein-Barr IgG Test? An Epstein-Barr IgG test requires a blood sample. Symptoms of chronic Epstein-Barr include extreme fatigue. Swollen lymph glands are common in people with Epstein-Barr. The Epstein-Barr immunoglobulin G (IgG) test is a non-invasive test that searches for the Epstein-Barr virus (EBV), a member of the herpes family that is transmitted through saliva. 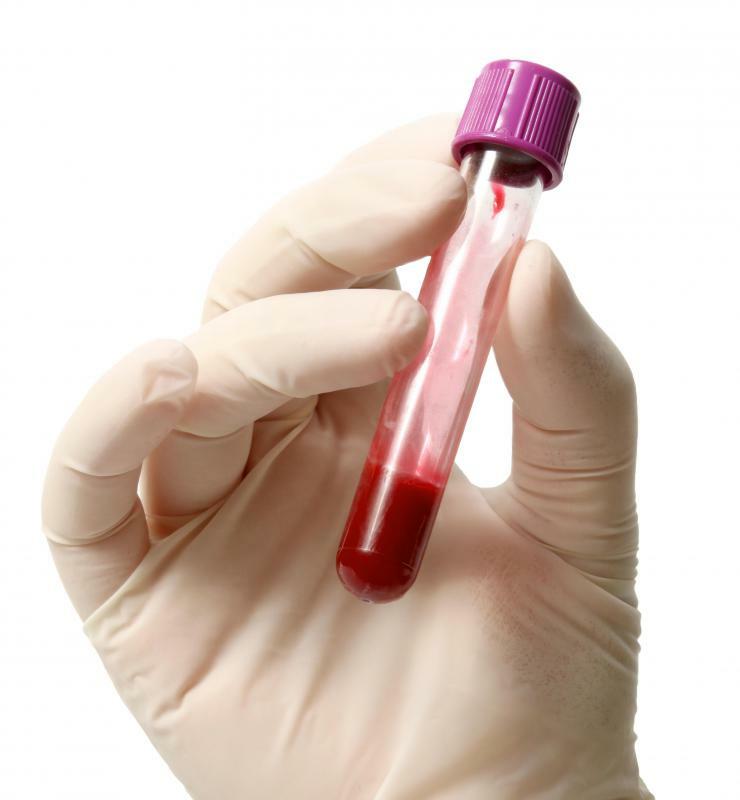 The test is a simple blood test, and individuals can expect a simple blood draw. For most, there is no advance preparation necessary for the test. Individuals undergoing the Epstein-Barr IgG test will have a blood sample drawn via a needle in the arm. For many, this is a simple procedure that involves only the brief pain of the prick of a needle when it is pushed into the vein and some discomfort when it is withdrawn. Afterward, there may be a consistent, throbbing tenderness and some bruising. Others may have some difficulty if their veins are small or hard to find; for these individuals, health providers may have to try several times to get a complete sample for the screenings of the Epstein-Barr IgG test. Applying lotion or moisturizer several times during the day before the blood draw can help make the insertion of the needle less painful. Usually blood is taken from the elbow, so applying lotion to the inner arm can help ease the pain at the time of the draw. Drinking plenty of water the day before the draw and going on a brisk walk before the appointment can help get blood flowing and also serve to make the draw easier. To complete the Epstein-Barr IgG test, doctors will be looking for signs of viral capsid antigens and D early antigens, which will signify a current infection. Previous infections can also be found by looking for the Epstein-Barr nuclear antigen. These markers are tested for in individuals that display the outward symptoms of mononucleosis, but have tested negative for this common disease. Symptoms that can lead to undergoing an Epstein-Barr IgG test include fever, sore throat, swollen lymph glands, and fatigue. Individuals can also be suffering from an enlarged spleen or liver. Sometimes, the test may be given to a person without symptoms but who has been exposed to another person diagnosed with mono. Pregnant women with flu-like symptoms may also be tested. It is estimated that 95% of some populations will be infected with EBV by the age of 40, although most are infected during childhood. If the Epstein-Barr IgG test results come back positive, individuals can expect to be instructed to rest for several weeks. While there are no medications to help speed the recovery process, the body can fight the virus on its own with sleep and rest and by avoiding sports, stress, and heavy lifting. Younger patients will experience less severe symptoms, while adults can expect a higher chance of liver or spleen swelling, making it extremely important to avoid activities that can result in a rupture. 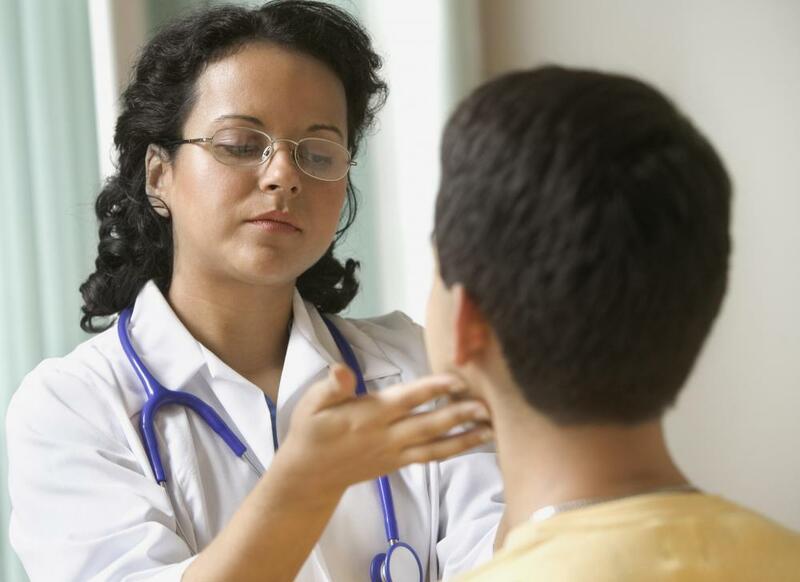 What Are the Different Mononucleosis Tests? What Are the Symptoms of a Swollen Spleen? What is the Connection Between Epstein-Barr and Chronic Fatigue? What are the Different Types of Epstein-Barr Treatment? What is the Connection Between Epstein-Barr and Mononucleosis? What are the Risks of Epstein-Barr in Pregnancy? How do I Treat an Epstein-Barr Rash?